I don't know about you guys, but I never seem to ever have enough birthday cards so I was happy to see that one of the many sentiments included in this month's stamp set was a Birthday sentiment. I decided to use that one on today's card. 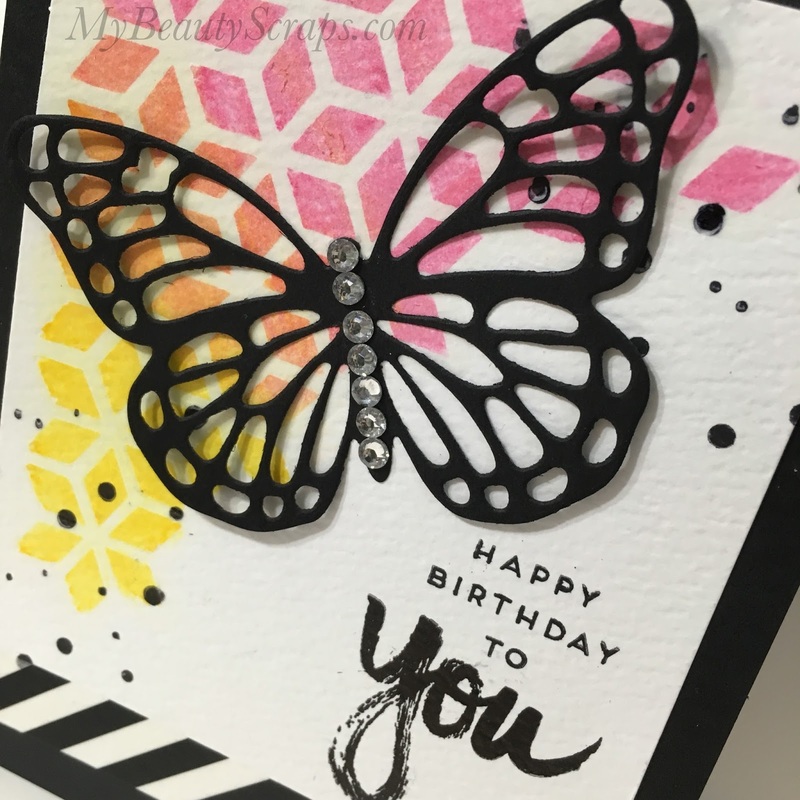 I also pulled out my Bold Butterfly Framelits to die cut the butterfly from Basic Black cardstock. 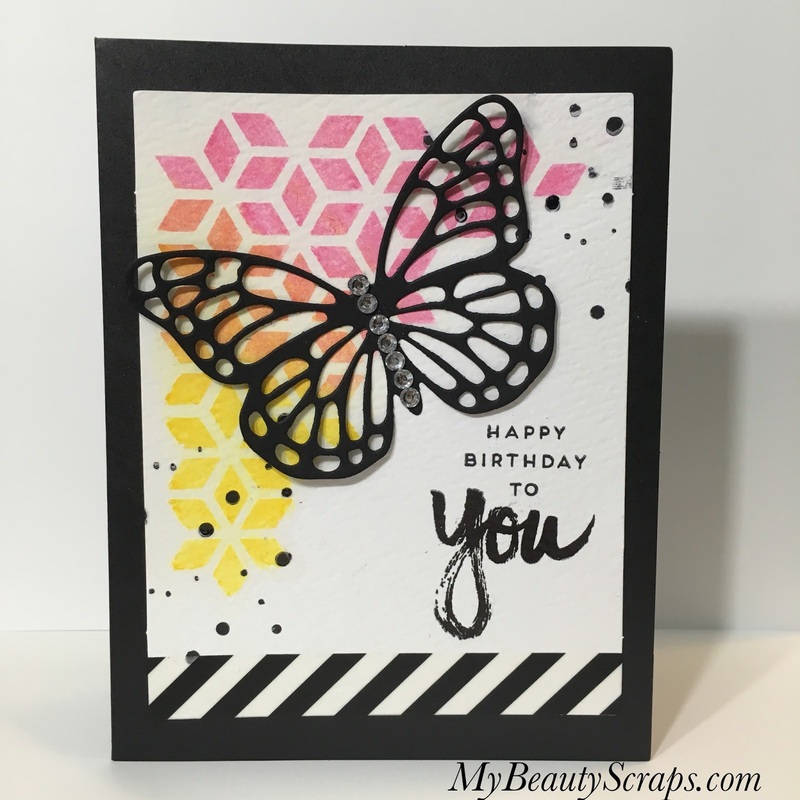 I just love that butterfly & I haven't used it in so long!